Every day you face new challenges. Whether we’re talking about your work environment or your personal life, you will always have to surpass yourself in order to feel satisfaction with any activity and task that you take on! Every market and field out there has been affected by the technological innovations that have shaped many industries in the past decades. Technology is changing our lives, there’s no question about it. Smartphones and other gadgets make us more efficient in our daily activities. Fitness is an essential part in all of our lives. You need to stay sharp, both physically and mentally – a healthy body is the perfect host for a healthy mind. Whether you’re a newbie or a seasoned pro when it comes to fitness and fitness-related activities, it’s important that you keep track of your progress and push yourself to the limits in order to achieve the best results. 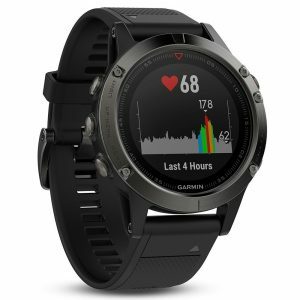 In this Garmin Fenix 5 review, I will be presenting you with a product that’s meant to give you the data and stats essential in improving your physical training routine. The Garmin Fenix 5 is a rugged multisport outdoor watch, ideal for a large array of outdoor physical activities. Its tough constitution and design make it a top pick for adventurers and athletes. The Garmin Fenix 5 has a rugged design – the watch keeps a modern, visually-pleasing design while offering strength, reliability and comfort with its stainless-steel finishes and various interchangeable watchbands (premium leather, metal and silicone). The bands are also very easy to switch with grapples attached to them so that you can switch from sporty to business in a heartbeat. The Fenix 5 is also rated waterproof up to 100 meters, great for swimmers and divers. Keep in mind that durability and performance are essential features for gadgets used heavily in outdoor environments and I can guarantee that this watch is a beast. The Garmin Fenix 5 gives you two options when it comes to tracking. It is designed with both GPS and GLONASS reception systems, giving you precise data regardless of your location and environment. If you are not familiar, GLONASS, or “Global Navigation Satellite System”, is a system developed for military use, now available for civilians too, that relies on satellite communication to give users accurate data regarding their position. The Fenix 5 also gives you up to 24 hours of run time in GSP mode and up to an impressive 60 hours in UltraTrac battery saver mode, a mode that pings your location once every minute as opposed to once every second. While the features I have previously presented are impressive, they would be useless if you, the user, would have trouble making use of them, but the Garmin Fenix 5 has no problem with clearly displaying information. It comes with a Garmin Chroma Display, with LED backlight, making it easy to read in every environment (Even underwater!). It also has transflective technology so that you won’t have to squint your eyes on those sunny days and different models come with a scratch-resistant sapphire lens so that users make good use of all the gadget’s features for a long, long time. The screen resolution is 240 x 240 pixels, a lot lower than what you can find on most smartwatches, but let’s face it – this isn’t a smartwatch. The lower resolution gives it increased battery usage while the screen is still perfectly readable in any environment. When you’re trying to best yourself, and push your body to and past the limits, it’s important that you stay safe. The Garmin Fenix 5 comes equipped with a wrist-based heart rate monitor and Elevate wrist heart rate technology, giving you precise data on the average and peak moments of your training routine. Make sure that you stay safe during your training if you push yourself too hard. The watch helps make sure that you schedule some well-earned recovery time. The Fenix 5 can be a replacement to your fitness tracker since it combines everything in one watch. It’s important that you are consistent with your training routine. The Garmin Fenix 5 offers you all the metrics that you need in order to track your progress. It comes with activity-specific training apps that offer the user a detailed analysis of their progression, regardless of the activity. Use it at the gym, in the park or when you’re hiking, it doesn’t matter, really. It even mounts on your bike, giving you precious data to help you improve your cycling routine. The Fenix 5 will also offer you a VO2 max score, a score that will determine the level of your overall fitness, along with your resting heart rate and other cool statistics on your general health and progress. I think that every gadget must meet certain standards when it comes to connectivity, and trust me when I say that the Garmin Fenix 5 performs beautifully in that regard. It pairs with your smartphone and notifies you in case you receive a message, phone calls and emails (and other notifications). You can also connect to the Garmin Connect online fitness community to share your progress and use the smartphone app to upload your evolution to social media and compare it with other fitness enthusiasts. You can also customize the interface of your watch with various pictures from your smartphone with the free Garmin Face It watch face app and other content from the Connect IQ store. Now that I’ve briefly presented you with the features and functions of the Garmin Fenix 5, let’s talk about how you can use it and where does it perform better than other gadgets. The fact that the Garmin Fenix 5 sports watch is so durable and offers a high range of features and statistics makes it suitable for most outdoor activities. The rugged design makes it reliable in every environment while its complex, in-depth analysis offers detailed information on different levels of physical activity. The Fenix 5 is great for people who are training for marathons, semi-marathons or just enjoy running as their main fitness activity. The built-in GPS tracker is very reliable and the heart rate monitoring feature makes sure that you are functioning within healthy parameters. Detailed statistics will show you your weekly progress and will determine if your current plan will improve your form, maintain it or degrade it. The watch will also notify you in case you miss scheduled training sessions, giving you a boost of motivation that’s essential in achieving the goals you set. The increased battery life will effortlessly get you through your training, so don’t worry about running out of juice mid-session. I personally like technology so I use the Fenix 5 along with my wireless earbuds when running. 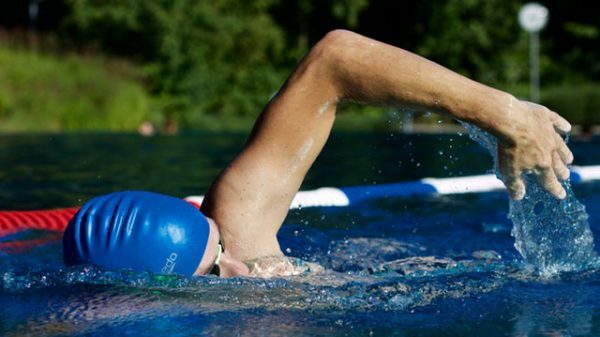 The watch is also a good choice for both indoor and outdoor swimmers. You should know that you need to determine the exact size of the pool, in case you’re an indoor swimmer, in order to receive reliable data. Users have also stated that, although the watch does provide reliable data underwater, the heart rate monitor doesn’t function properly in watery environments. I strongly feel that the Fenix 5 looks great mounted on the handlebar of any bicycle because of its industrial look and overall durability. It also keeps track of your route, your speed and your heart rate, even while cycling. As most of the features of the watch have already been covered, it’s safe to say that it’s a good fit for any bike. Fenix 5 is also great for you hikers out there! 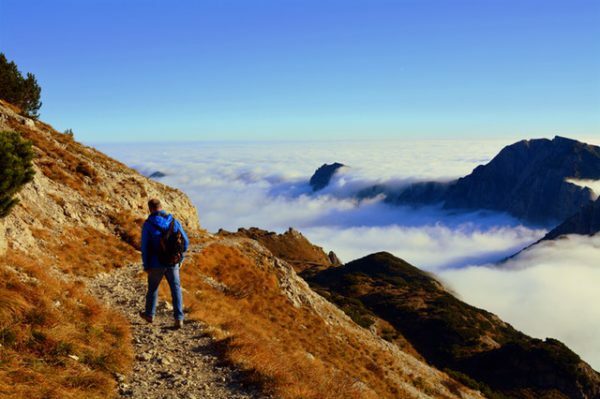 You can use the GPS tracking system to assign a path to follow for you and your group to stay clear of any dangers or to score that perfect time reaching the top. 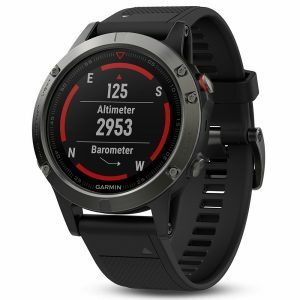 You also have access to an electronic compass (though I hope you won’t have to use it) and some models, such as the Garmin Fenix 5X, even come with a topographic map. 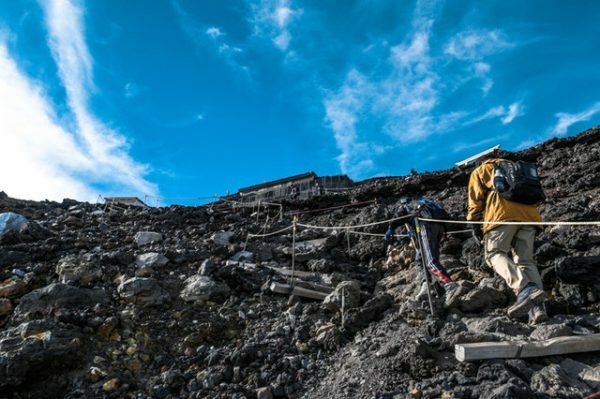 The Elevate Heart Rate monitor will ensure that you maintain a steady pace through your expedition. Moreover, with its great durability and sturdiness, you can use it without ever worrying about damaging it or losing access to its functionalities. If you’re a hiker then you might want to look at other hiking watches I have listed on my other article. It should go without saying that the Fenix 5 will perform to a high standard during a lot of different physical activities, such as skiing, triathlon and golfing, but I feel like you have that figured out by now. I think it’s safe to say that the Garmin Fenix 5 is a great choice for every person that’s interested in taking their training to the next level. It covers a lot of different outdoor activities and sports, it’s durable and can survive harsh environments and it stays connected to your phone so that you won’t lose track of anything while being involved in your training. It will surely help you improve your form by reminding you of training sessions while keeping track of your progress and determining whether or not your current plan is improving your physical features and it’s a great overall product.